With the crypto industry growing by leaps and bounds with each passing day, this burgeoning domain has seen the entry of many established financial institutions such as JP Morgan Chase and Swissquote over the past year or so. 3.4 So, Which is the Best Broker for you? However, what has come as a bit of a surprise for many is the fact that a lot of traditional banks are also now starting to offer cryptocurrency products to their clients. For example, Goldman Sachs’ recently purchased major crypto exchange Poloniex in an effort to gain a foothold within this ever-evolving market. Similarly, banks like Fisco and Skandiabanken are reportedly in the process of creating new products linked directly to the crypto domain. “So what exactly is the difference between brokerage-managed trading and exchange-based trading (of cryptocurrencies)?”. First and foremost, we need to understand that a crypto broker is basically an agent/ firm that “handles the trading and management of a client’s crypto assets”. However, when looking at exchange-traded funds, brokers can be found to engage in high-value financial trades without having to consult with their clients first (this, however, is not always the case). Another key facet worth looking at is the fee structure associated with brokers. When taking into consideration a traditional exchange situation, an individual is required to pay both the network fee as well as a commission for each individual “buy and sell order” that is executed. Additionally, when dealing with crypto-fiat trades usually a high fee is incurred by the account holder — sometimes as large as 15%. Alternatively, when working with a broker, a trader has the ability to pay him/her directly for a single fee — which is quite an advantage, to say the least. One of the biggest upsides of using a brokerage service is that it is able to provide users with better limit maintenance tools. A broker also allows traders to “weigh market conditions” in a much better and calculated fashion. Brokers provide better spreads on orders when compared to exchanges. Regulated brokers are able to deliver their clients with a guaranteed level of custodial protection on all managed assets. If you're one of those out there that have decided that you want to make a jump into the world of Bitcoin investment and do so with a really large jump, the first piece of advice that's necessary is to not go off just your own thinking. When it comes to substantial amounts of money and investment, getting an experienced mind on the side can spell the difference between Profits and Misery. By this, I am of course referring to the use of a broker; their extensive degrees of experience can allow you as an investor to make very well thought out investments and turn a more effective profit than just going alone. Throughout this guide, you'll be shown a range of bitcoin/cryptocurrency brokers that are in operation, along with all the essential information that comes with it. These will allow. you to narrow down a list of potential broker candidates, depending on your individual needs and the kind of investments you'd want to make. Based out of Boston, Massachusetts, and established as a corporation in 2013, Circle Trade is one of the leaders in the international marketplace of Over The Counter Trading of Digital Assets. While it has been a major contender in the world of OTC trading, Circle Trade also provides users with a range of retail and investor solutions, thanks to its Circle Invest Business including providing payment solutions for the same thanks to its business called Circle Pay. Fees – Its brokerage fees are also included in its previous agreed fees and prices. Along with its range of business, investor and OTC trading solutions, Circle Trade also provides auxiliary services such as business advisory, research solutions, including payments, retail, investment, and offering solutions. Founded as a corporation back in 2012, the New York-based cryptocurrency exchange and made its grand launch a year later, the exchange provides its customers with an expansive range of digital assets through it's Over The Counter crypto trading services. Unlike other exchanges, ItBit has its sights set on a higher net stratum of a customer, doing business with high-value individuals including businesses that also want to make higher scale transactions of up to 100 Bitcoin. One of the ways that it ensures its ongoing profitability through charging its investors a flat fee of 0.1 percent each transaction that takes place on it's Over The Counter platform, along with providing a high level of efficiency; enabling same-day transaction settlements for its consumers. ItBit is a highly internationally pronounced company, with customers based in over 100 different countries, and operates as one of the very few bitcoin exchanges that have full-fledged regulation and licensing to do business within the state of New York. Operating as one of the few digital asset exchanges that boast a full regulatory authorization from the state of New York, Genesis Global Trading offers investors a meticulous two-sided liquidity market for a wide range of digital currencies which are traded on a daily basis. Initially, Genesis had been a part of the Trading Division for SecondMarket, which was a company originally owned by the venture capital company – Digital Currency Group. Genesis has broken off from SecondMarket and has offered its version of Bitcoin Brokering since 2013, and this makes it one of the longest-running Over The Counter trading platforms in the marketplace. 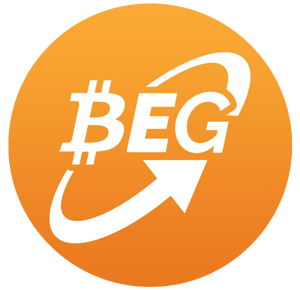 Thanks, in large part to being owned by the DCG, it holds a strong reputation among the Bitcoin Brokers. Along with its own brokering services, it allows its customer's preferable access to GreyScale Investment Trusts including Digital Asset Lending. While it was registered and incorporated back in 1999, the Jump Trading platform was one of the newer entrants into the world of digital asset trading, especially Over The Counter trading. What sets the platform apart is the fact that it has since developed and implemented a dashboard which offers customers, investors, and traders to interact in a more efficient way with the OTC desk of Jump Trading. Why is unique is because this is done through a far more secure means of connection, and removes any reliance upon a third party messaging service, providing far more confidentiality for traders. As of the writing of this report, the Chicago based company participates in the transaction of over $2 billion in digital assets on a monthly basis. Along with operating as an Over the Counter digital exchange for investors and traders, Jump Trading also operates as an advisory body for other companies and investors. Operating as a subsidiary of the larger DRW Holdings LLC, this Chicago based company operates as a Bitcoin brokerage service for its customers. Much like some of it's Over The Counter counterparts, it provides its investors with a system of two-way liquidity within Bitcoin as well as other highly traded digital assets through its marketplace, specifically targetting individual investors and enterprises which make up the high net-worth stratum. 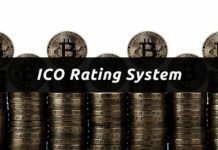 It manages to obtain a good degree of profitability by charging its lower rate transaction fee on each trade successfully completed within the platform. Cumberland Mining also provides an effective service as an advisory body too and was incorporated back in 1992 before moving into the world of cryptocurrencies in 2012. Officially incorporated back in 2012, the San Francisco based digital asset exchange Kraken has gained a strong reputation amongst seasoned cryptocurrency investors of all scales over the past decade. In 2018, the Kraken team officially announced its intention of launching an Over The Counter trading service in order to provide a more stringent service for a more professional clientele, allowing them to purchase a range of digital assets through a range of off-exchange transactions. Along with its OTC and crypto exchange services, Kraken's OTC service includes a wide range of additional services for its customers, including meticulous market analysis, fully customized 1 to 1 service, complete asset support as well as a 24-hour international coverage of crypto assets and investor services. The Kraken OTC, much like a number of others on this list, is set upon providing this service for those interested in conducting larger scale transactions, with its minimum transaction sizes being $100,000, with its brokerage fee being included in the price agreed to by both buyer and seller. Based in a great place for commerce in South East Asia, specifically Hong Kong. Octagon Strategy operates as an Over The Counter service broker and headed up by the former head of the department of Electronic Trading for the multinational financial institution – Morgan Stanley. The aforementioned Wayne Trench has argued that Octagon has gained status as Asia's largest digital asset broker. While the minimum trading size is $100,000, there is no maximum, and fees are subject to request upon the completion of any transaction within the platform. Officially launched back in 2016, the London based company BitStocks seeks to provide its consumer base of higher net worth investors, companies and individuals a great degree of liquidity within the Bitcoin market. In order to trade on this OTC brokerage service, the company requires any investors to make a minimum deposit of $6,500, which is roughly £5,000 and offers both its OTC services, along with an advisory service for those seeking it. In contrast with other platforms in the OTC market, where BitStocks turns its profits is from the commission in the execution price of every transaction on the system, which makes it quite similar to Genesis Global Trading in the way it handles commissions. One of the other ways in which it is able to draw in a profit is through performance fees attached to any investments that appreciate over time. For those interested in benefitting from BitStocks' advisory service, you'll likely incur this fee, which is 25 percent of however much your investment/s are. Some of the dramatic shifts in the world of cryptocurrencies made a good number of crypto investors question just what kind of proportion of crypto is being traded on exchanges relative to Over The Counter. When it comes to the major investors in the world of Bitcoin, I.E. those involved in the trade of anywhere from $500,000 to millions of dollars worth of BTC have a greater preference for using Over The Counter trade rather than having to jump between various exchanges, all while having to address price fluctuations throughout. One of the reasons for this is that despite its high desirability from its community, Bitcoin has a serious problem with liquidity, in that it lacks a fundamental level of it. This is in contrast to the kind of residual liquidity of blue chips including government bonds. With OTC brokers, their values tend to be more stable, in that they are always better than the average price you would likely obtain through buying and selling BTC on exchanges independently. As a result, if you're looking to make a significant investment in the world of BTC, or want to work on a continued frame of buying in and out of the digital currency in higher volumes than usual and capitalize on short term price fluctuations, it's far better to do this through the use of a Bitcoin Broker via an Over The Counter Service. Over the last few years, the financial scope of Bitcoin OTC trade has exploded. With the likes of brokers like Circle Trade being responsible for the processing of approximately $2 billion worth of various digital assets on a monthly basis. And this is just one of the many exchanges out there involved in such a high monthly volume of digital asset transactions. As an increasing number of institutional investors gain interest and begin to step into the world of digital asset trading, this initial number of Over The Counter trading companies will increase exponentially. In addition, to this, as the more centralized exchanges find themselves continually susceptible to hacks of various severities, professional investors will turn more and more away from them wholesale, and make use of OTC systems and Bitcoin brokers in order to make sure that their digital assets are safely secured so as to make them impossible to lose against cybercrime. This presents the suggestion that Bitcoin Trading volumes are, in some sort of way, being underrepresented by analytics platforms. Meaning that they may be worth double that what can be witnessed by the likes of CoinMarketCap.com. So what is this absolute figure of Monthly trading volumes of Bitcoin within the OTC marketplace? It is really impossible to know this with absolute certainty. But, if we can conceivably conclude that what the likes of Zhao are saying is, in fact, true, then on-exchange trading services and their corresponding volumes may very well mean that the estimate is that $250 billion in BTC is being traded on a monthly basis via Over The Counter services. So, Which is the Best Broker for you? This is one of the single most important elements that you should consider. If you are going to go ahead with using one brokerage, and entrust them with however much of your money in order to invest in digital assets, then you need to have a level of confidence and trust in that relationship that merits that level of investment. One of the best first steps to take is to check whether or not this Crypto broker is regulated within the region that they operate, this can be the difference between a green and a red flag right there. The second step is to assess the reputation of that same broker through crypto investors and companies that do business with it on a regular basis. This can tell you a lot about a company, from who owns them, where they operate, as well as checking out some of the more unbiased reviews about them online. It's important to point out that not all OTC bitcoin brokerage services out there . will be able to obtain through regulation, this is largely down to the fact that Bitcoin itself doesn't have good enough recognition in some of the countries where these OTC services are located. With that in mind, making sure that this very same broker still has a good public reputation with its customers and institutional investors. This element matters as much as the kind of reputation that a broker carries. Whenever you see a broker, they will carry and subsequently a charge, the objective here is finding one whose merit matches up to the commission fees that they charge. This is especially true if you're looking to be an active trader because if you're dealing with the wrong kind of broker, any profits you'd hope for will be gone before you know it. Another attribute that you need to consider is the kind of time zone that there are between you and your potential bitcoin broker, and this can be the difference between trading during their normal business hours, of having to navigate a perilous path of trading between time zones. As a result, if you're based in one place in the world, pay close attention to where the broker is operating, and have an immediate preference for those that operate in the same country, or at least the same region of the world as you, this can save you a lot of pain in the future. With that said, however, if you plan to trade a lot, then you may want to consider setting up with more than one, so you can obtain access to multiple markets, and operate at the level that you want to. Last, but certainly, not least is the fact that your broker should be able to provide a good history of customer service, otherwise you are going to have a miserable start to your investment life. It's never a good sign when you have a broker with an absolutely poor record of dealing with customers, and even if it's just a poor response time to emails, this is not a good sign: It's your money that is riding on how quickly they can respond to that email. Find out what kind of record they have towards customer service through looking through customer reviews, specifically those that provide as objective a viewpoint as possible in this situation. Despite the fact that the number of cryptocurrency brokerage firms in existence right now are quite few in number, the ones in operation do offer investors with the option to manage their alt-asset portfolios in a highly seamless manner. (i) They take away a lot of control from the hands of investors since, more often than not, they get to decide how an investors’ coins and tokens are stored. (ii) A brokered portfolio is quite limited in the sense that its offerings are solely limited to the products being provided by the broker at any given time. If you are one of those people that is looking to dive deep into the world of longer-term investment into bitcoin, making use of a broker from an Over The Counter platform will be your best method of approach. And with the ones that were mentioned in this article: they are some of the best that we have found from across the criteria that we mentioned.